LOS ANGELES Time Warner (TWX) said Wednesday that it will spin off the magazine unit behind Time, Sports Illustrated and People into a separate, publicly traded company by the end of the year. 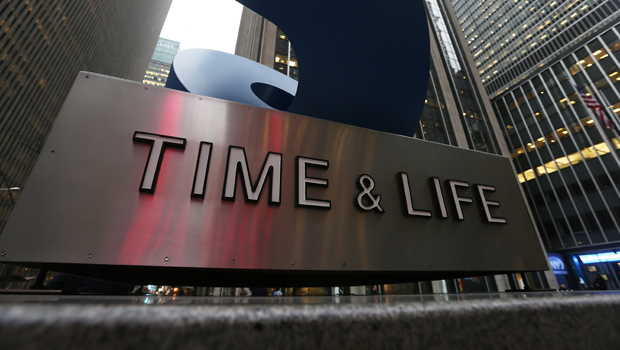 CEO Jeff Bewkes said in a statement Wednesday that the decision to split off the Time magazine company will give Time Warner "strategic clarity" and enable it to focus on its TV networks including TNT, HBO and CNN, and its Warner Bros. studio, which produces movies and TV shows. He said the move would create value for shareholders, similar to the company's previous spin-offs of Time Warner Cable (TWC) and AOL (AOL). In recent weeks, Time Warner had been in talks to combine all of Meredith's (MDP) magazines with Time's lifestyle titles such as People, InStyle and Real Simple. But talks broke down over a value for the combined company and over which magazines from Time would be included in the mix, according to a person familiar with the matter. The person was not authorized to speak publicly and spoke on condition of anonymity. Meredith said Wednesday that it respected Time Warner's decision and hoped to work with it on future opportunities. Meredith publishes magazines aimed at women such as Better Homes and Gardens, Fitness and Family Circle. Time Warner shares rose 79 cents, or 1.4 percent, to $56.25 in after-hours trading following the announcement, after closing up 41 cents at $55.46. Shares of Des Moines, Iowa-based Meredith fell 80 cents, or 2 percent, to $39.50 in after-hours trading after closing down 86 cents at $40.30. Analysts have estimated that the Time division is worth around $2.5 billion. Time Warner said the spin-off would be tax-free to its shareholders. The move completes the years-long unwinding of a media and telecoms giant formed in 2001 when America Online, an Internet access company, used $147 billion worth of inflated stock to buy Time Warner, in what has been regarded as the worst corporate merger of all time. Expected company synergies never materialized. Over the years, Time Warner moved to spin off the cable TV hookup business as well as AOL in order to focus on its profitable and growing TV and movie businesses. Matthew Harrigan, an analyst with Wunderlich Securities, said shareholders have wanted the spin-off of the challenged magazine business for some time, mainly because the rise of Internet advertising has steadily eroded ad revenue from print publications. Investors had come to see the magazine business as a drag on revenues and profits. According to the Publishers Information Bureau, U.S. magazine advertising revenue fell 3 percent in 2012 to $21 billion. "Investors like pure plays and some instances where there are genuine synergies," he said. "I think they concluded it was a bit of an odd duck." The person said that the parent company will continue to be known as Time Warner, keeping Time in its name despite the spin-off. In conjunction with the move, Time CEO Laura Lang said she would step down after a successor had been found. In a memo to staff, she said that, "taking the company through a transition to the public markets is not where my passion lies."